Underinflated tires and overloaded vehicles are the leading causes of tire failure. All motorists need to check their tire pressure at least once per month. You can’t tell correct tire pressure just by looking. Use an accurate tire pressure gauge to measure pressure when tires are “cold” — meaning they haven’t been driven on for at least three hours. The correct PSI or pressure for your tires is listed on your vehicle’s tire information label or in your owner’s manual, not what’s on the side of the tire. Check the overall condition of your tires, particularly the tread and sidewalls, at least once a month. Use the Lincoln’s head penny test, or look for the built-in wear bar indicators to determine when it’s time to replace your tires. Make note of any irregular tread wear. This could be an indication of a wheel misalignment, the need for a tire rotation, or both. Uneven tread wear is a sign that you need to take your car in for servicing. OC Automedics is your local auto repair shop in Rancho Santa Margarita. We repair and service all cars and truck both domestic as well as Japanese cars and German card. 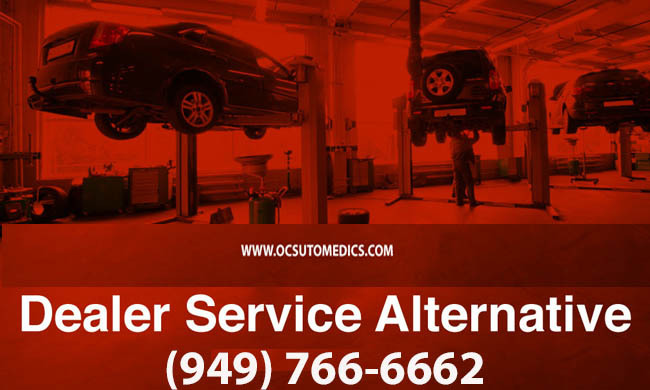 OC Automedics is truly your Dealer’s Alternative auto repair and service center. Bring in your car or truck for a free inspection today.